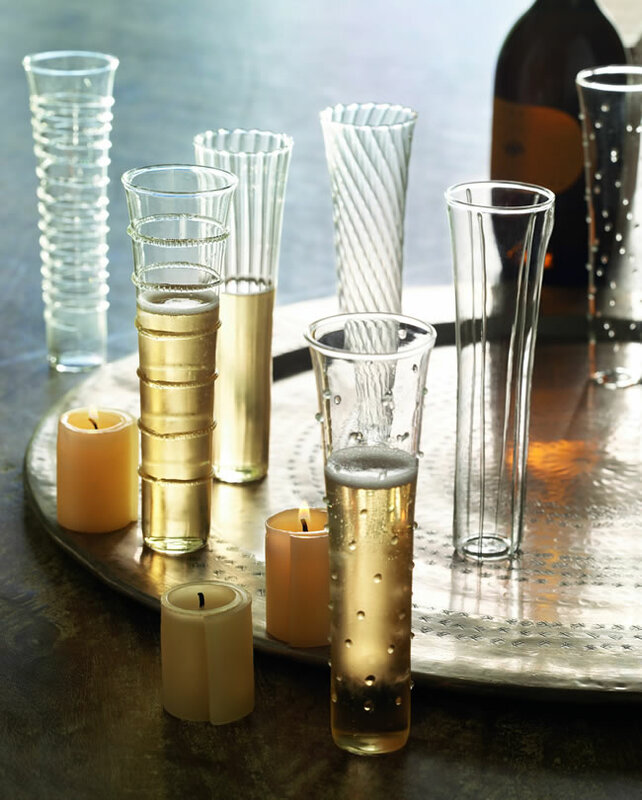 Delicate and whimsical, these champagne flutes are perfect for a 50th birthday celebration. Each glass has its own unique design of dots, stripes and swirls, offering just the right sentiment on this occasion. Made from hand-worked borosilicate glass, they are dishwasher safe. 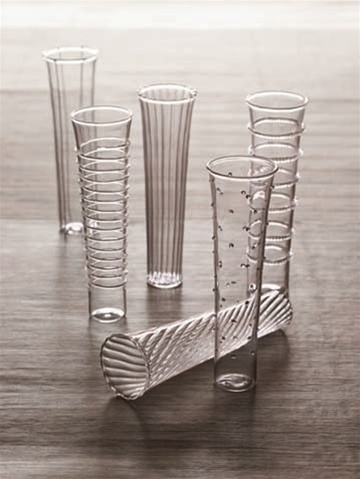 Set of six flutes, each 1 ¾" diameter x 7" H (8oz).